We are such tragic fools. You’re such a fool. Do you know why? I don’t mean to insult you and I will never do that, but. . . If you have no love for life then you’re such a fool. Regardless of what life hands you, you should never stop living. You should always see the funny side of life. Life as you know it, it’s meaningful when you see the funny side of it especially when you’re feeling down. So, don’t count your troubles but always count your blessings. Instead of getting too worried, tell a joke about your troubles. 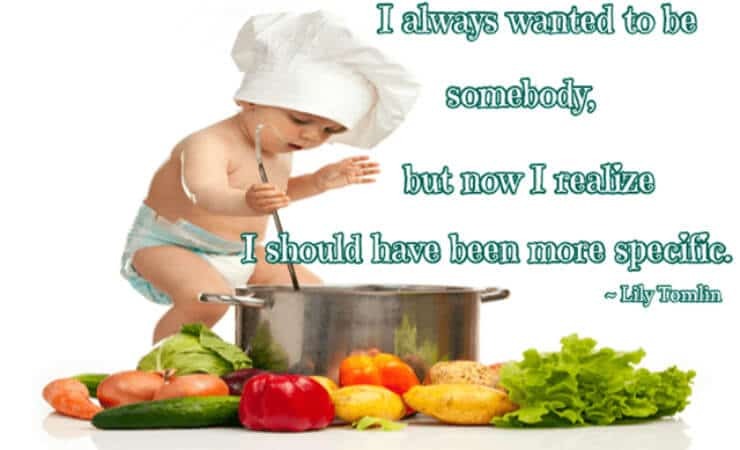 Talking of seeing the funny side of life, I want to share with you today funny inspirational quotes. With these funny inspirational quotes, anyone including you can use them to spread happiness and also transform people’s lives in one way or another. Thanks to social networking sites, they have made it easy for you to share these funny inspirational quotes. The good thing about reading these funny inspirational quotes is that they’ll encourage you. Of course, some of the quotes will make you to have such a good laugh. 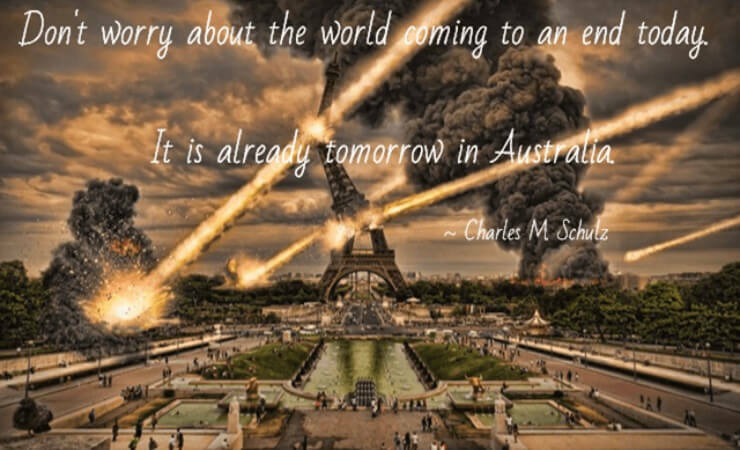 Are you scared to death by false prophecy that the world is coming to an end? Recently, with the blood moon, we were told that the world was coming to an end. But, did the world come to an end? Oh, while the blood moon was sweeping the sky during that night in September, it was already tomorrow in Australia! So, why worry when you’re aware that it’s only God who knows the day when the world will come to an end? The truth is, worrying doesn’t empty tomorrow of its sorrow. Instead it empties today of its strength. Worrying deprives you of happiness and peace of mind as you tend to be bothered of “What If’s.” The “What If’s” sometimes never happen. 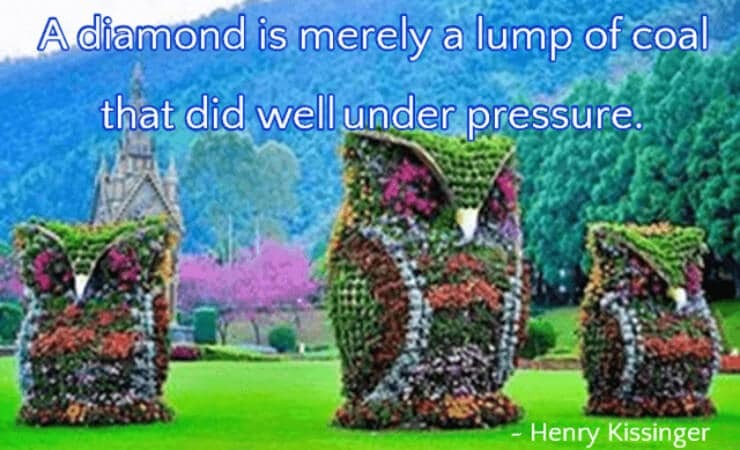 For a fresh and vigorous mental state, you shouldn’t let the future worry you. After all, you’ll face it with the same ‘Weapons’ of reason with which you met today’s challenges. Seize the day. Take action on what lies clearly at hand; tomorrow will simply take care of itself. 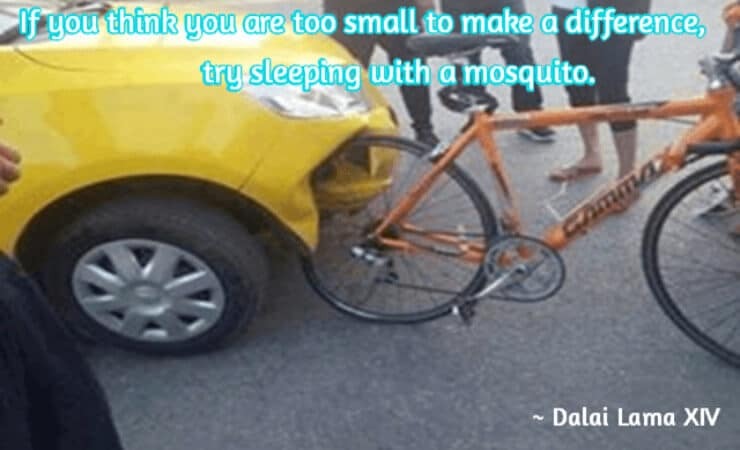 In deed funny inspirational quotes can be hilarious at the same time they teach us a lesson in life. In case you’re about to give up due to your abilities which you consider are of less value, then you’re wrong. It’s the small things you do each day that matter. There are people who were even worse than you are, but through determination they have excelled. Even big projects in the world started with simple steps. You should always stay focused and play your part. The big dream you have will come true. You may feel as if it is difficult for you to realize it, but after you persist and actually work on it, you’ll finally see it come true. The worst mistake you’ll make is to believe you can’t make your dream come true. Those who have done great things are just people like you. The only difference between them and you is the fact that they had the motivation of trying again till they succeeded. In other words, if you’re doing anything, you can do the impossible. This quote being among the funny inspirational quotes I have read, it has helped me a lot lately. There are people who are struggling with low self-esteem and they don’t value their work. However, as soon as they realize what they’re able to do and actually they do it much better more than many other people in other corners of the world, then they acknowledge how important they are. 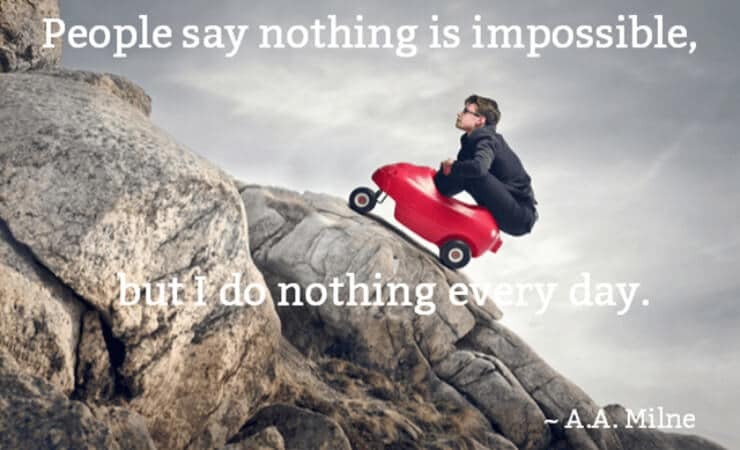 Sometimes by just doing nothing, we are actually accomplishing great things. The issue is that the “nothing” we think we’re doing is something impossible for other people to do. Have the right perspective on yourself and you’ll have increased your chance to succeed. For sure, this is one of the funny inspirational quotes worth reading and sharing with your friends. The gift of life is precious. This may sound like an overused cliché; nevertheless, it rings true in every sense of the way. I find it quite strange that most of us never grab the gift of life with all the appreciation it deserves. Instead, we move around with slumped shoulders and pained expressions. At the core of life is a struggle to beat the odds. 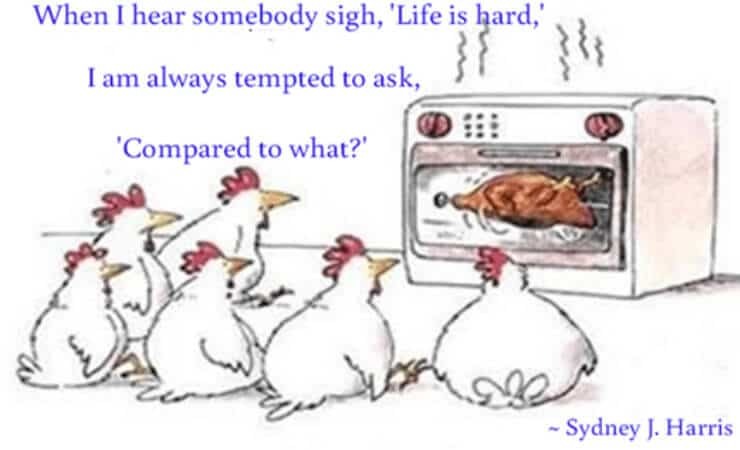 Some problems in life are more difficult for you to face than others. However, the fact that you have the gift of life is enough to console you and encourage you to keep going. There is really nothing out there you can compare to life. The gift of life is by definition a chance to beat the odds and inspire generations to come. This is one of the most dreaded words that can proceed from your partner’s lips. Such conversations are often very hard to listen to. Without doubt, the main take away point from such conversations is often the need for change. Change is not easy and yet it’s necessary in life. It’s common to find that when faced with such a confrontation we get defensive. 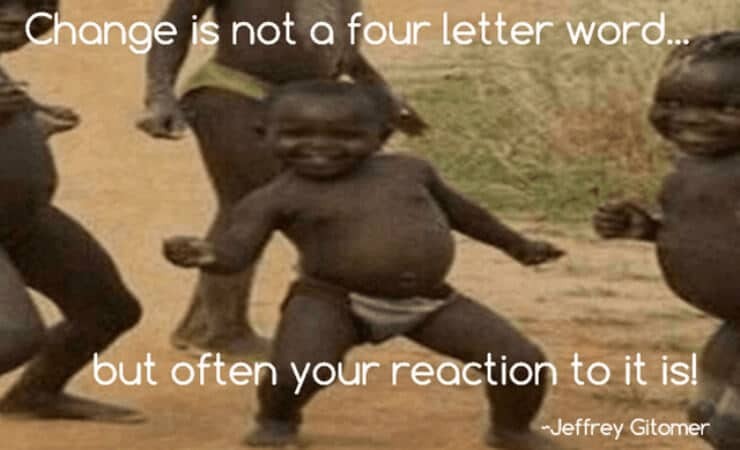 Have you ever noticed that change is not a four letter word. . . but often your reaction to it often is? They say that the only thing in life that is certain is change, and yet as human beings we fight change. When people regardless of whether they’re friends, colleagues or family point out an area in our lives that requires change, our reaction should not to get angry but rather to take a step back and listen objectively to what they’re saying. This quote by Jeffrey Gitomer is one of the funny inspirational quotes that encourage you to appreciate the need for change. Probably you have read some of the funny inspirational quotes, but have you read this one? Let’s now briefly discuss this quote by Steve Martin. You may have a project which you’ll like to accomplish and also you’ve the resources necessary to achieve it. You should take advantage and utilize the opportunity for you to achieve your project. It will reach a time when the opportunity will be taken away from you. In case you had money which you’ll use to accomplish the project, it will reach a time when the money will be used in other activities. In order to avoid regrets, you should take each opportunity you have seriously. In case you have worn a lottery, use the money well for you to avoid regrets later. There are other people who had a lot of money and they misused it, it reached a time when they had nothing to do rather than to regret. Take any opportunity you may have with great care for you to avoid regrets in life. You should always read daily motivational quotes, they’ll help you to restore your enthusiasm. 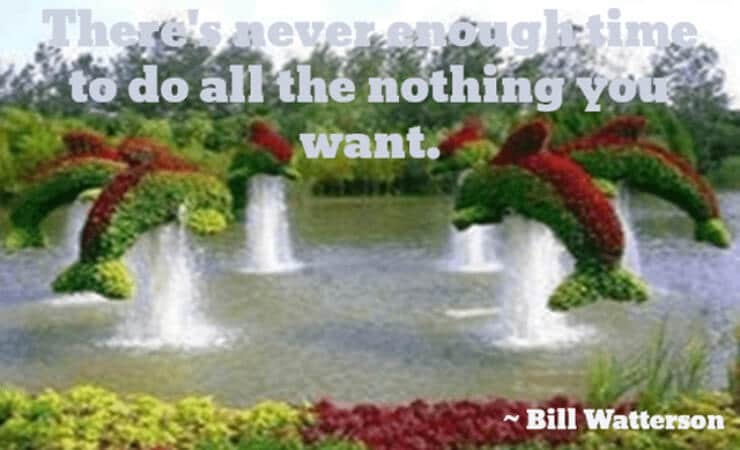 So, how does this quote by Bill Watterson help you? There are times we find ourselves all busy and when we are not busy, we are no doubt filling our highly valuable time with other things. Bill Watterson reminds us that it is not always a must for us to do something. Even choosing to do nothing can be an option. Simply explaining, boredom, procrastination and distraction are at times important. Most of us employ time-saving techniques and have no time to waste. We always fight against procrastination, boredom and distractions all with the intention of increasing our productivity. However, this does not mean that you have to totally fight and completely get rid of procrastination, boredom and distractions. Though suggesting these three words a little bit counterintuitive, slacking off is sometimes helpful and healthy for the brain. It improves how your brain works. Being one of the motivational quotes, you’ll definitely find it useful in your life. There are some things you may wish to achieve but you’re not capable. Not all people will have the ability to accomplish great things at a specific period of time. You should be contended with what you have and make use of it. Success will come at its own pace. Just try to remain in the right track and avoid wasting your time and energy by comparing yourself to other people who have what you don’t have. Learn from successful people but don’t go overboard comparing yourself to them. You should always set realistic goals which you’ll easily achieve. Setting unrealistic goal which you’ll fail to achieve will make you to be discouraged. Remember, when you’re discouraged, you may end up failing to achieve even simple tasks. 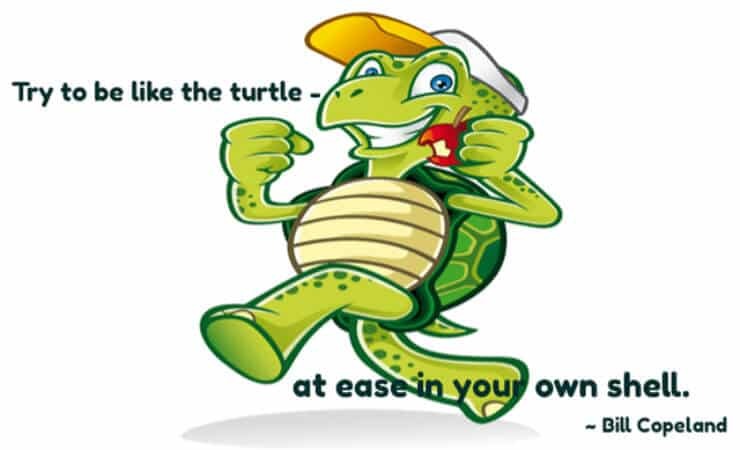 The slow steps you’ll be making will move you close towards achieving your goals. Know your abilities and work at your own pace. You’ll eventually achieve what you want to achieve. Being specific about what you want in life will allow you to make sound decisions about your future. Knowing your destination will make it easier to get precisely where you want to be in life. When you choose to be vague, you don’t allow yourself to end up where you truly desire. The act of being specific allows you to know what you actually want. Like other funny inspirational quotes, this quote by Lily Tomlin is handy. If you’re looking for motivational quotes for work, then this quote by Richard Bach is one of them and here is how I understand it. Everyone gets to that point in their life where they feel that all the ideals they have lived for do not hold much significance. It’s however liberating to know that so long as you’re still healthy and walking about; your dreams stay very much alive. It’s important that you keep going, even when futility and lack of conviction cloud your paths. The fact that you’re still alive is an enduring testament that there is still way too much left to do. 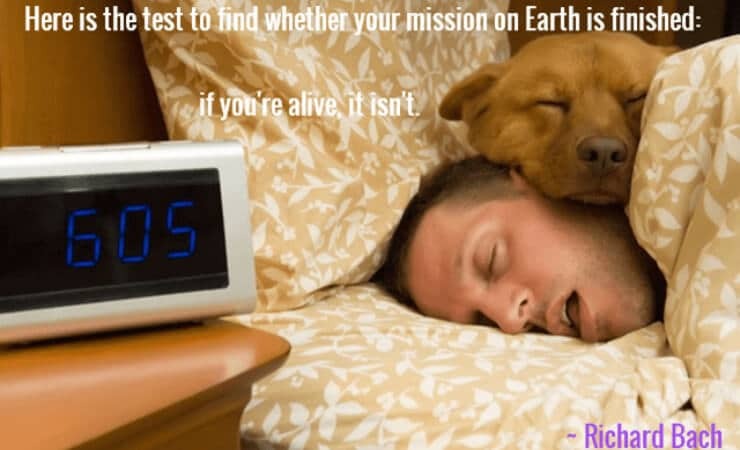 You have a mission to accomplish in your life as long as you’re still living. Even if you’re performing so well today, you should look for a way of improving yourself to do better. Relaxing at the same level will easily lead you not to be competitive. You may be owning a business, instead of focusing on the same services which you offer or the same products, you should look for ways of improving your products or services. This will make you to remain in business since you’re competitive. Remember your competitors will be looking for ways of beating you. It’s natural; life has to go through changes. There are some companies that were performing very well, but with time they have been overtaken by others which employed different strategies. You should be flexible and be ready to adapt to new trends in your area of specialization so that you’ll continue performing well. Like other top motivational quotes, this quote will motivate you to keep on improving your performance. The truth of the matter is that most people spend a great deal of time waiting for opportunity to knock, but they have little to no idea what it looks like. 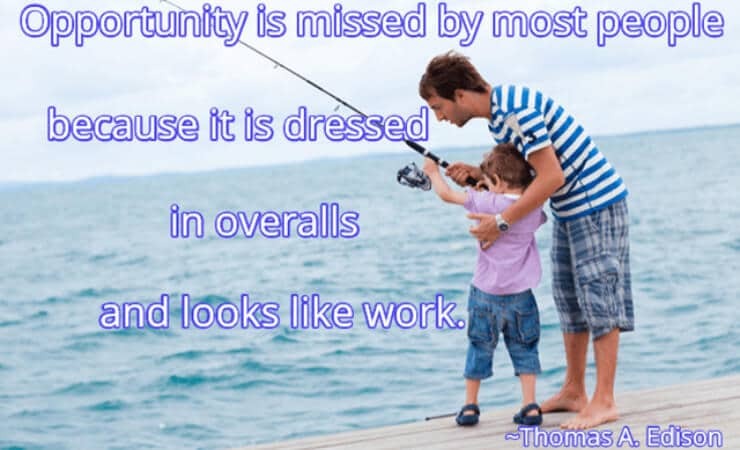 No one ever said that opportunity was void of work; it has just been long assumed that it was. Opportunity is no more than a chance. The harder one works, the more chances there are for opportunity to come knocking. It’s best to think of an opportunity as work that has a reward as opposed to something that will simply be given to you. 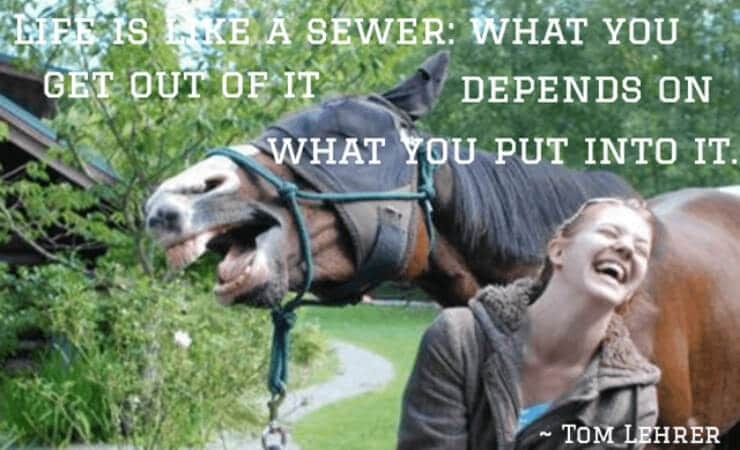 Definitely this quote by Thomas A. Edison makes to the list of the funny inspirational quotes. Don’t wait for opportunity to come knocking because it rarely does. You have to knock the doors where opportunities are. Throughout history, people have looked for and found an opportunity to accomplish something whether it’s making a lot of money or creating something useful. Jonas Salk didn’t wait for the opportunity to find the polio vaccine to come knocking. Henry Ford didn’t wait to be invited to invent the system for mass producing automobiles. Many people believe that opportunity will knock on their door, but history shows us that it rarely does. The great inventors in all of history have found opportunity when they went out and knocked the door down. The great railroads and financial empires were founded by people who knocked the doors down to get what they wanted. We are more likely to find opportunities when we search for them than if we wait for opportunities to find us. Being one of the famous motivational quotes, this quote by Nicolas de Chamfort helps you to realize that opportunity rarely come again. You should grab an opportunity whenever you find one. Being one of the best motivational quotes about life, this quote informs you to develop yourself. You should not feel offended after you have been criticized. For any criticizing which you receive there is a reason why. You should take your time and assess the criticism. Make efforts and improve on areas where you have been criticized. This will lead you to perfecting in the area where you’re not doing so well. Remember, there is nobody who became a professional without being an armature. By carrying out simple improvements, you’ll finally end up perfecting your skills. It does not matter where you’re trying to excel but you always need to develop your skills. You should always take constructive criticism positive and improve your life. Sometimes, you may tend to think that those who have succeeded before you were lucky. Well, it’s OK to be speculative but rather than focus on the success, it’s equally important to factor in the struggle it takes to get there. In order to succeed, you should be ready to fail. How you deal with your failure matters a lot. Take the classical example of J.K Rowling, famous author of the Harry Potter books. At one point in her writing career, she was so dejected to the point of contemplating suicide. Would we have heard of Harry Potter if J.K Rowling had actually committed suicide? Her fear of failure didn’t keep her from trying again. That is what makes the difference – the guts to keep trying regardless of fear of failure. Failure is a lesson equipping you for better decision making. 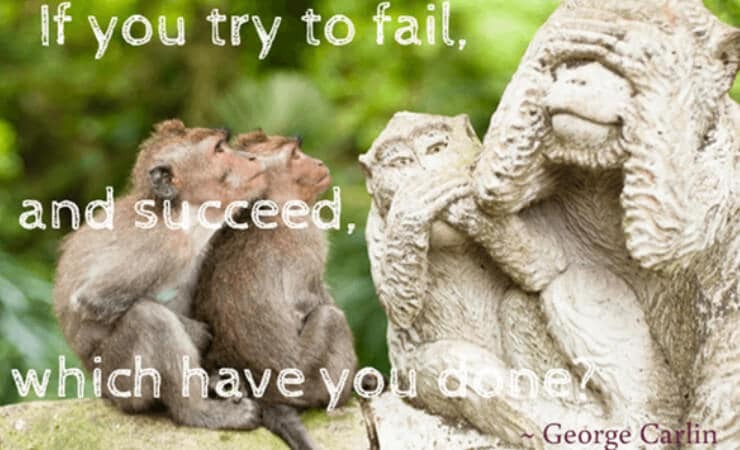 This is what makes this quote George Carlin to be one of the funny inspirational quotes that encourages you to deal with your failure by trying again. You should work smart. Have a strategy to remain competitive. At an advanced level, many of your competitors would have given up. 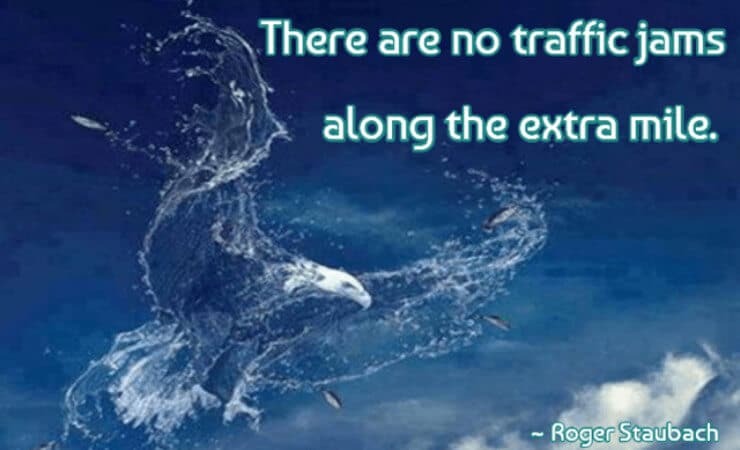 In other words, in whatever you do, you should take an extra mile that other people are not willing to take. The extra mile you take, you’ll have knocked out your competition. It’s possible for you to overcome the challenges and succeed. No doubt, this quote is among the funny inspirational quotes for you to read and share with your friends. It’s a common belief that you’re supposed to wait for your muse to inspire you to do something. Jack London’s quote being among the funny inspirational quotes, it reminds you that if you really want to do something be it writing, don’t wait for that right mood to hit you. 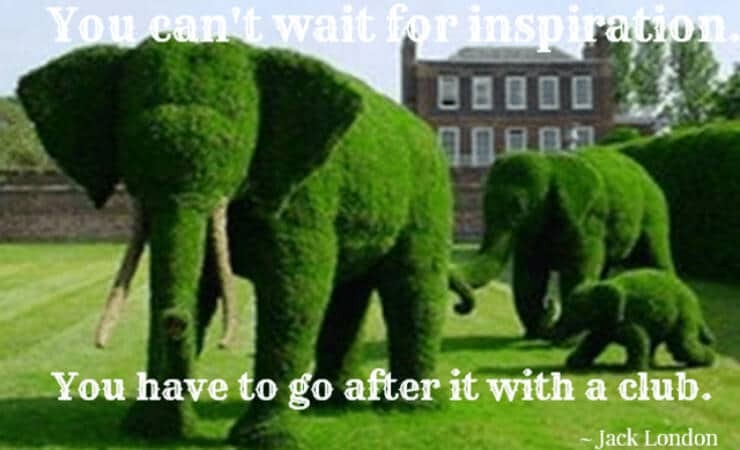 Just find inspirational to get started and it doesn’t matter if you’re making mistakes at first. With inspirational, you’ll keep on doing what you do and also improve where you make mistakes. If you’re an entrepreneur or you’re running a business, you need to read motivational business quotes. They’ll inspire you to work towards success. Definitely, this quote will inspire you. Let’s now discuss it briefly. Sure, failure will always be bitter, and no one would ever wish it to happen. However, it’s a fact that it will occasionally strike no matter how hard you try getting your things right. It’s easy to give up on your endeavors at such a time, but certainly this won’t be the best decision to make. Instead, try to shift your focus on the positive side of your failed experience. Consider failure to be your perfect opportunity to refocus on your vision and goal. Get back to your drawing board and come up with a strategy so that you take up the challenge again. If done right on your subsequent attempt(s), you’ll be amazed at how much you’re capable of achieving. Besides, you’ll appreciate your success more now that you’ve tasted failure before. So, do not fear to fail. 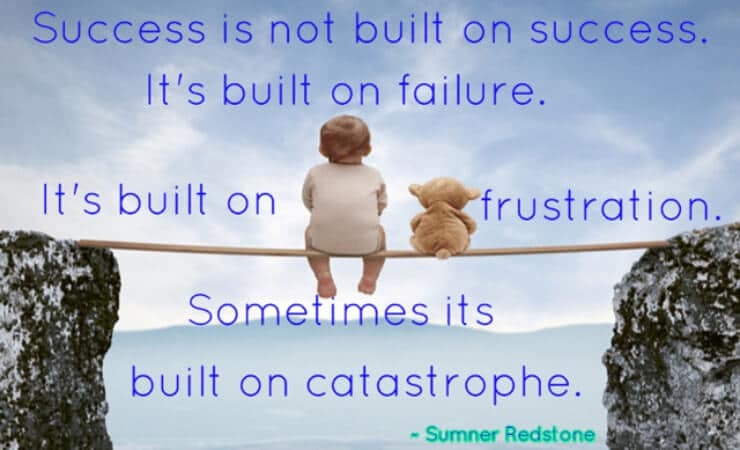 This is because failure is the condiment that gives success its flavor. 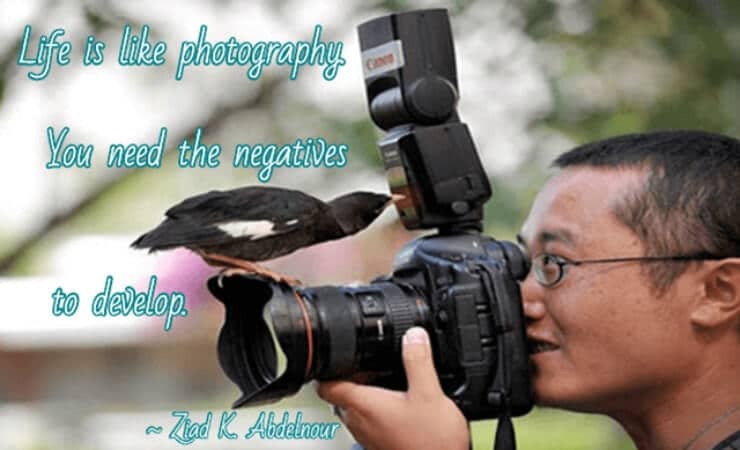 This quote expresses encouragement to people who are on the path of improving the lives of many people. Opposition needs to be worn as a badge of honor given the amount of nobility behind the intent. Those people wanting to garner positive change should consistently stay the course regardless of the intensity of the storm that comes their way. No storm lasts and the good that is being worked towards is far more imperative. 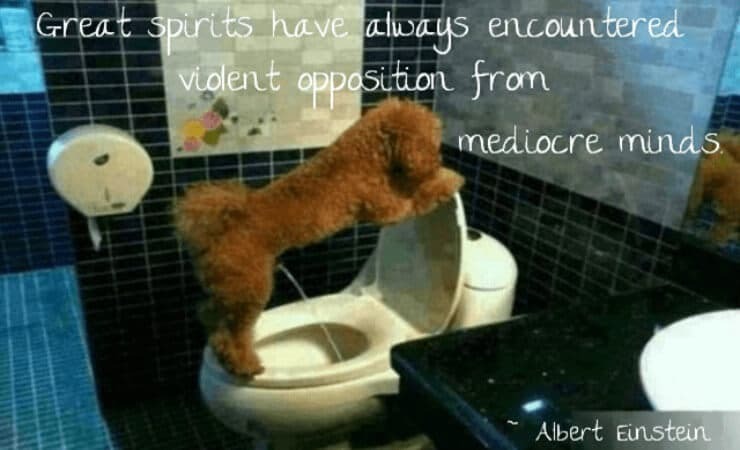 Press forward for the betterment of humanity knowing that you’ll encounter opposition from mediocre minds. When you fail, then that is not how to do it. You should find another way on how to do it correctly. This quote by Benjamin Franklin, as one of the best motivational quotes, it encourages you to keep on trying by learning from your failure until you succeed. It’s upon you to avoid being discouraged after you have failed. 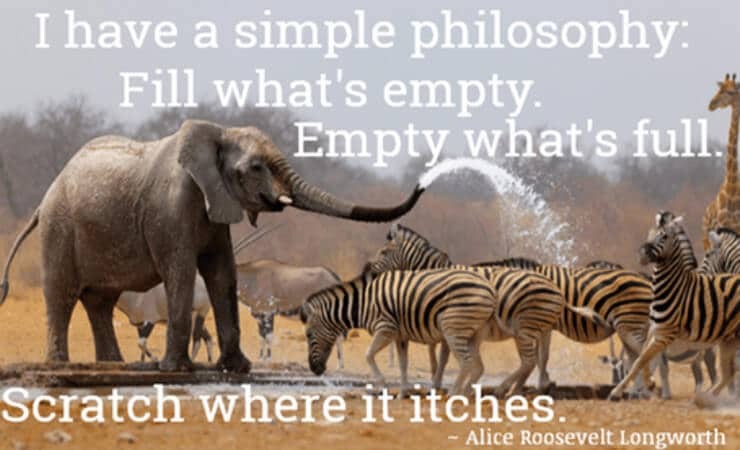 There are funny inspirational quotes that will greatly inspire you just like this one. Always do your level best. In your life, there are challenges you’ll face and you have to overcome them. You’ll not succeed without challenges. There are things which you cannot accomplish on your own, but there are other things which you can accomplish. What you cannot do best, you should delegate to those people who can do them best. You should always focus on what is important for you to achieve success. Is it really possible to live forever? 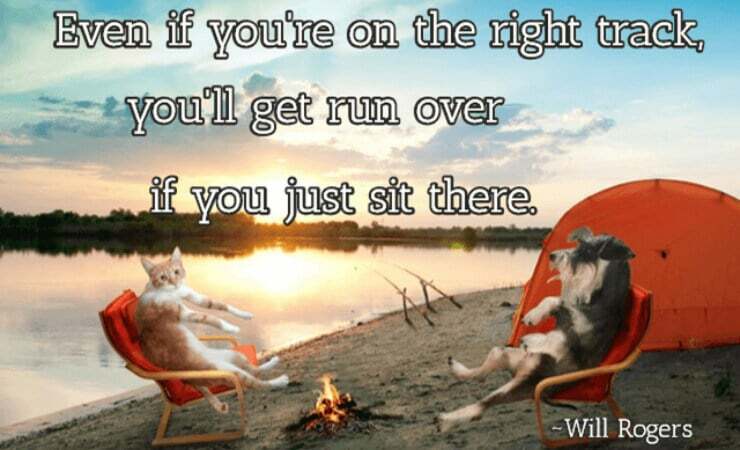 This quote by Steven Wright is one of the funny inspirational quotes, and here is how I interpret it. From the outset, the assertion that one intends to hang around for eternity sounds absurd at best. I mean, after all, we are just humans, which makes us mere mortals. 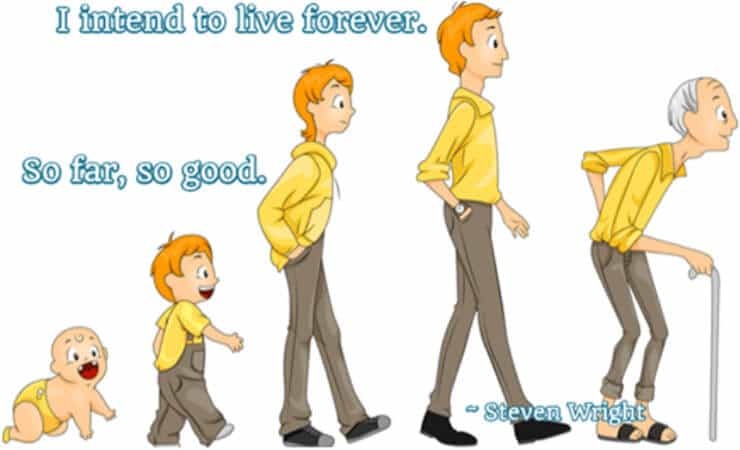 The desire to live forever does not really refer to the immortality of the body; it simply hints at a hope that everything is possible, and that your achievements in this life will always remind others of your presence even when you are long gone. The intention to live forever fills us with hope and allays our fears that no one will think of us when we are not around anymore. When you read motivational life quotes, you’ll be inspired to do something useful with your life. You’ll have the enthusiasm to achieve success. 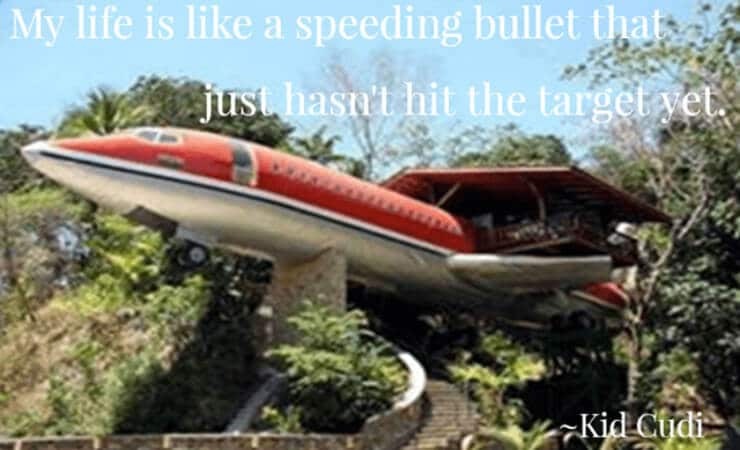 This quote by Kid Cudi, though it is a funny quote, it inspires you to hit your target. Life should be considered as an opportunity to achieve our greatest potential, and we should not settle for anything less. Take no pride or satisfaction in accomplishing what is easy. Set bigger target and strive to hit it. The biggest enemy to our success is thinking small. We should think about achieving something that will not only benefit us but also benefit other people. 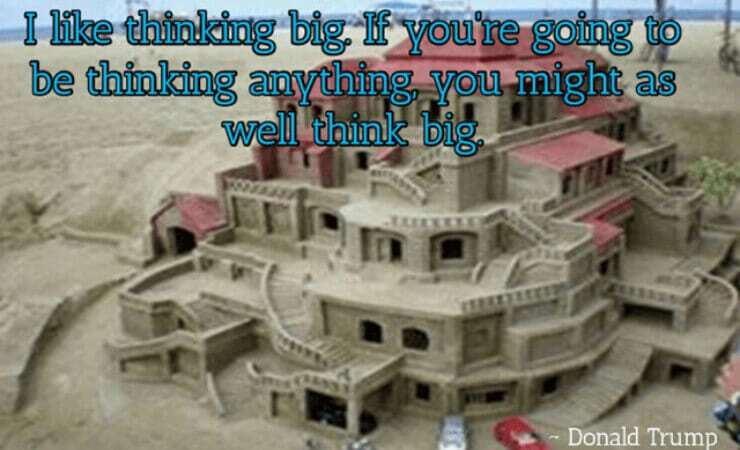 When you think big, you’ll be able to achieve great things. You’ll also discover new ideas of doing things. You should not always accept conventional wisdom; think big on how you can change the traditional way of doing things. 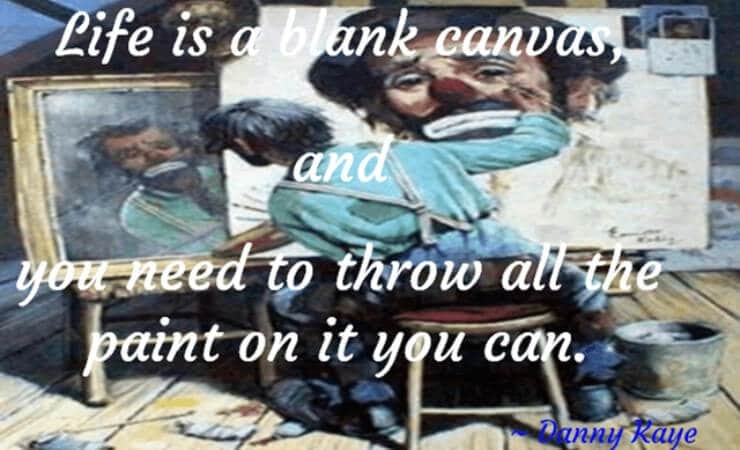 When I first read this quote by Danny Kaye, I found it to be funny. Of course, it is among the funny inspirational quotes. Life can take you along many paths, and in many ways, every part of your life’s journey can be part of an inspirational story. So, whatever is holding you back from doing whatever you would like to achieve in your life, it is an obstacle you need to overcome. Even if the things you try out do not work out in the end, you’ll always have the chance to try out more things and bounce back, and this is how you find meaning and happiness in life – taking risks. In fact, the things that do not end well will actually add some depth and meaning to your life. The things you’ll regret are not those that failed, but rather the things that you allowed to pass by because you chose to be overly cautious. 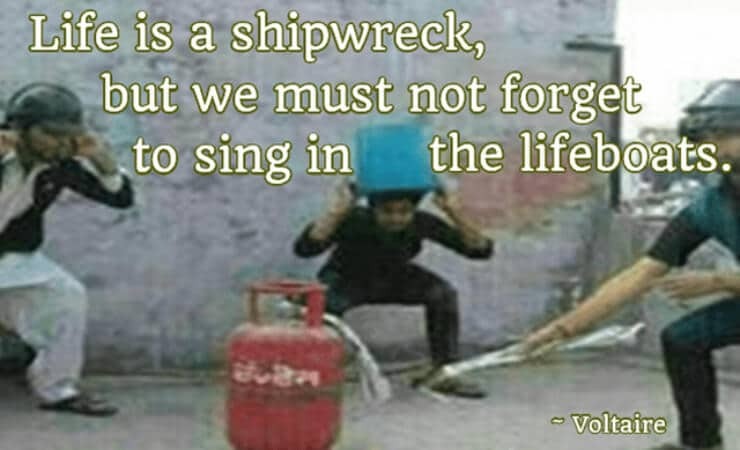 When you read this quote by Voltaire, you’ll know that it’s important to continue singing in the lifeboats, even though life is a shipwreck. 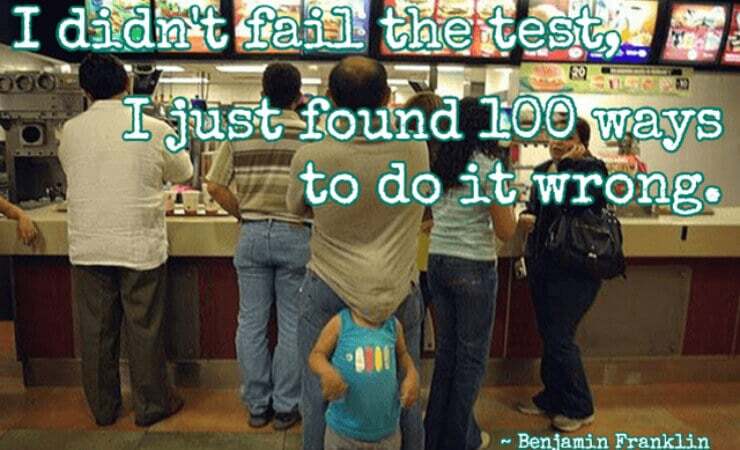 Make the most out of each failure. Of course, it is not always easy to “sing” and be happy after failing. Abraham Lincoln, the most prominent president of the United States, failed tens of times before succeeding. Edison, the mastermind who invented the electric bulb, burned more than a thousand bulbs before stabilizing the electric current. That’s what you should do if you want to thrive in life. Simply think of the normal sewer. If you put crap into it, you won’t expect to get something else but the same crap. So is to your life. What you do or plant today is what you’ll get tomorrow. If you’re mindful of a better life in future, the time to invest is now. Happiness and better quality of lives do not just come. You have to put a lot of effort to make them happen. Live your life if you want happiness. You should never forget to plant the seed that will germinate and yield the kind of life you aspire to live. 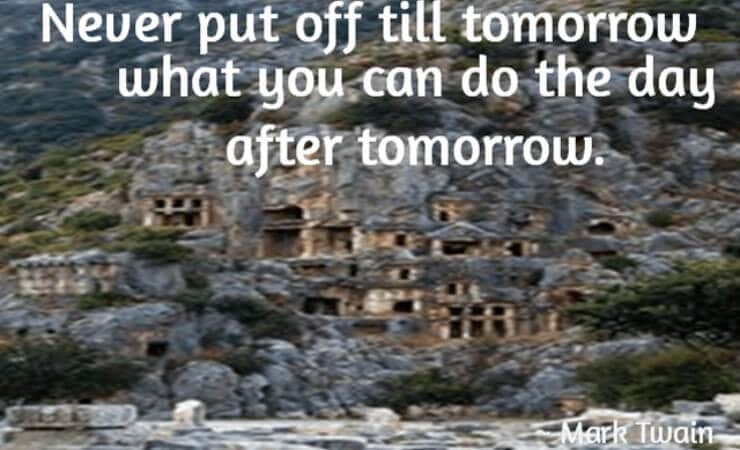 What you do today determines what you get tomorrow. Does this quote by Isaac Asimov fit in Christian motivational quotes? Although it seems like a contradiction, doing what is morally accepted is not always the same as doing the right thing. Each of us has a spark of light in us and it’s this inner being who tells us what to do or not to do in each occasion – provided we calm down, still our minds and listen attentively. It’s called by different names by many people. Some call it the inner voice, others call it intuition while there are those who call it the inner master or conscience. The truth is, we all have it and what’s most important, we can all access it – especially in time of need. Doing the right thing, even if it doesn’t seem to pay off is what differentiates us from animals. Our humanity which has a connection with the Upper Force can attain a higher degree of consciousness which will be able to guide us even through the most difficult hardships. 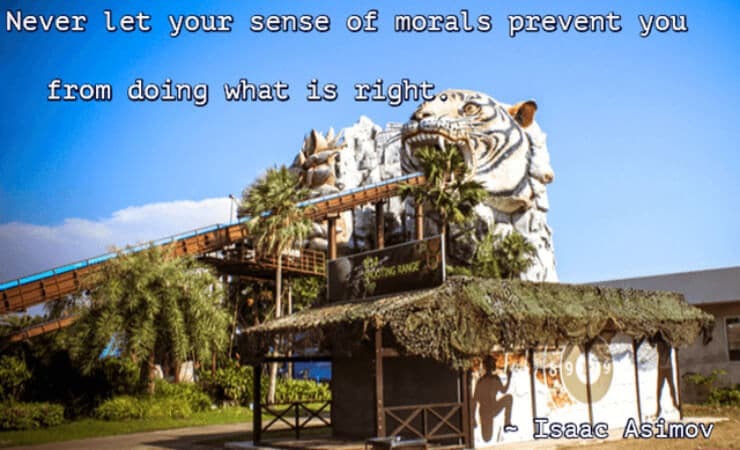 Your sense of morals has been instilled to you from the outside – they’re not intrinsically yours. Thus, in cases when morals contradict your sense of doing the right thing, listen to your inner being. Your inner being is the only one who knows what’s right for you and humanity in general – as we are all one single soul. Why should you get worried on what to do tomorrow yet you have a lot to do today? Avoid being worried about tomorrow. Concentrate doing what you have to do today. There are other people who will keep on procrastinating. Are you one of them? Remember, you had an opportunity to do a certain task today but you just postpone it without a contrite reason. The same way you’ve postponed the task today, it is the same way you’ll postpone the same task tomorrow. This will lead you to postponing things till you’re caught up with a lot of work which you cannot accomplish. In case you have an opportunity to do something today, just concentrate and do it fully. Due to the habit of procrastination, you may end up failing to achieve simple things. This is one of the motivational work quotes that will motivate you to complete your work. The obstacles life throws at you should not make your life a mess. Instead of getting beaten down, the hurdles you face in life will only make you more resilient, refined, and better suited to handle bigger challenges in life. Furthermore, by having the skills to deal with life’s problems in a positive manner, you can stand out from the masses of people who let such problems to discourage them and eventually they give up. Not only do problems make you tougher in the face of adversity, they also refine your character and make you stand out among those around you. You become someone who offers value to the people you meet. All these 30 funny inspirational quotes will make you to see the funny side of life while they inspire you in one way or another. 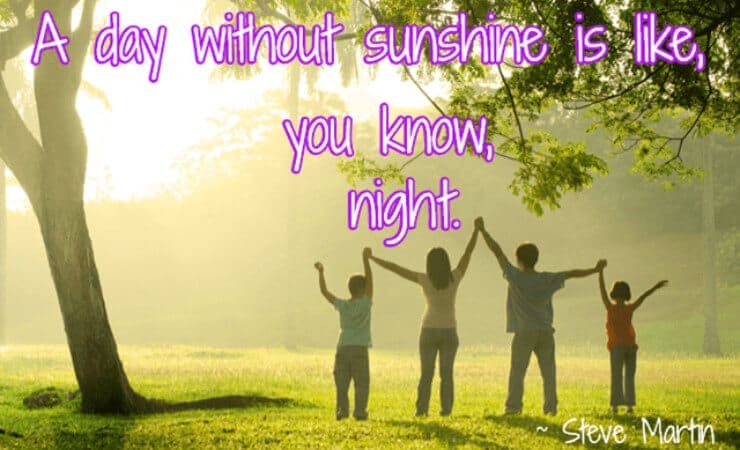 It’s now your turn to make the people you love to see the funny side of life by sharing these funny inspirational quotes with them on the social networking sites. Feel free to share these funny quotes on your social networking sites.